FAIRVIEW PARK, OH (WOIO) - Fairview Park Police have released surveillance photos from a burglary that occurred on August 13, 2014 at a home on West 227. 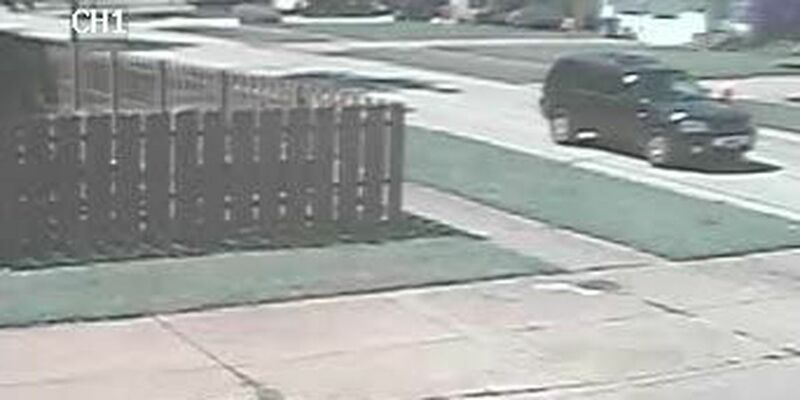 Thanks to a neighbor's surveillance camera, officers were able to obtain an image of the suspect vehicle. The vehicle is a black 2000-2010 model Mercury Mariner SUV. The residents of the home said they passed the vehicle as they backed out of their driveway to head to a lunch date around 12 p.m. The video shows a male walking to the burglarized home from the south and up to the driveway a few minutes after the couple leaves. The Mercury Mariner passes the home several more times in the video. The video is grainy and is in the process of being enhanced, after which time it will be released. Fairview Park officers are requesting that anyone with information related to the suspect vehicle please call 440-333-1234.